QUEBEC CITY, Quebec (CelebrityAccess) — Le Festival d’été de Québec, (the Quebec City Summer Festival for you non-French speakers) has announced the lineup for the 2018 return of the event. The 11-day festival, set for July 5th – 15th in Quebec City, features a bill that includes headliners: The Weeknd, Foo Fighters, Future, Lorde, Neil Young, Shawn Mendes, and Beck among others. Other artists on the lineup include Avenged Sevenfold, Busta Rhymes, Cyndi Lauper, Tory Lanez, Bonobo, Femi Kuti & The Positive Force, John Butler Trio, Yamantaka // Sonic Titan, Sum 41, Con Brio, Frank Turner, St. Paul and the Broken Bones, Jain, London On Da Track, and more. The festival, which marks its 51st year in 2018, will take place across multiple stages around the city. 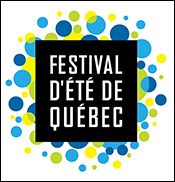 Among those stages and new this year, will be the fest’s Jazz at Théâtre Petit Champlain stage, featuring 6 performances from jazz notables around the world, including Chet Doxas, Ala.Ni and Shai Maestro. A full 11-day pass to the festival will cost just $100 Canadian, which works out to less than $8 dollars a day.